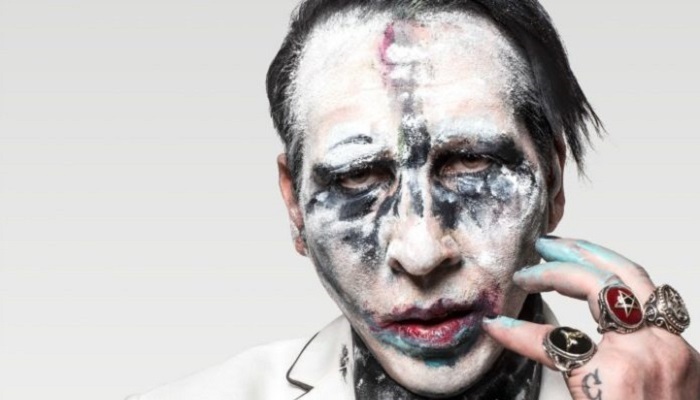 It looks like Marilyn Manson found himself a new playlist. Marilyn Manson has a brand new playlist to listen to, and it’s got a pretty interesting origin story. Not only does the playlist feature Manson himself, but it’s also got some pretty big names added to it – Nine Inch Nails, Brittany Spears and Drowning Pool to name a few. While it’s full of some pretty big hits, not everything is as it seems with this playlist. As noted in Manson’s tweet of the playlist, it’s actually songs that have been used by detention centers while they interrogate inmates….yeah. The finding comes from a recently published book, the Penguin Book Of Hell, and a section of this newly released book shows a list of songs that are used during interrogations at detention centers around the world. Included in the playlist, which is apparently titled “Ow That’s What I Call Music,” features a bunch of artists including the previously mentioned musicians and additional acts like Queen or theme sounds like the Meow Mix Theme. Like most things on the internet, the playlist wasn’t hidden and Manson soon found out about the playlist. And honestly, we can’t really blame him…there’s some pretty good songs on that playlist! What do you think of Manson’s new playlist? What songs would you add to it?! Sound off in the comments below!